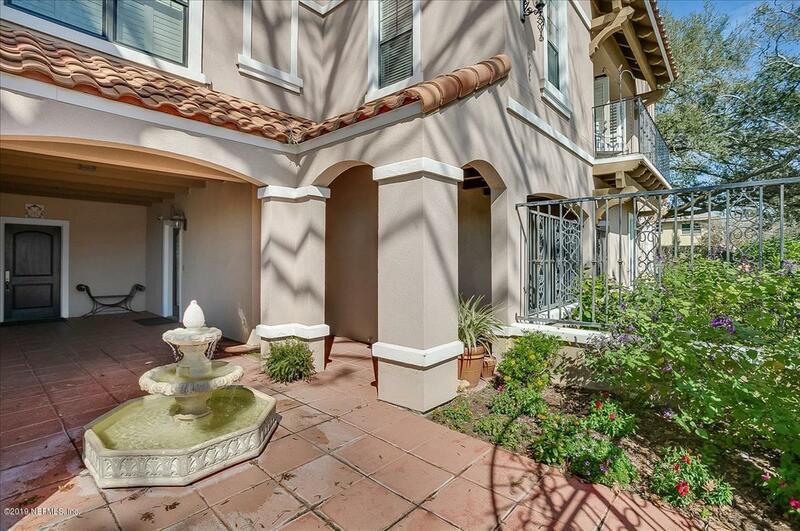 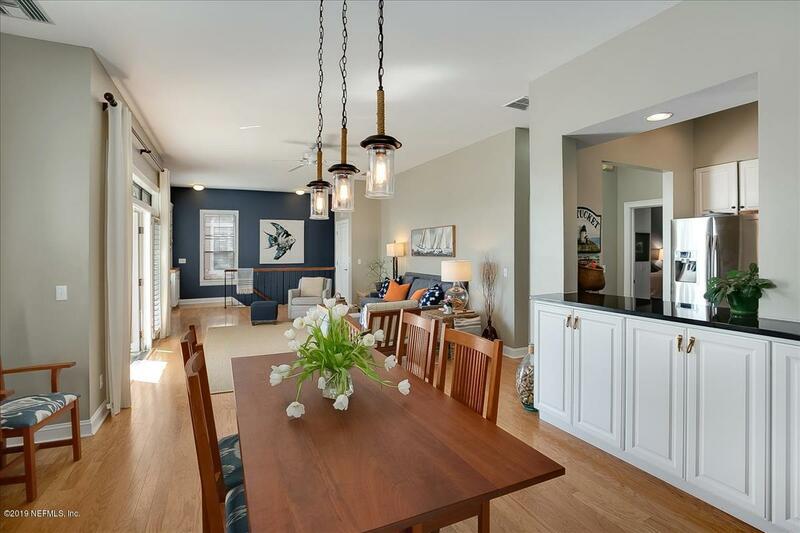 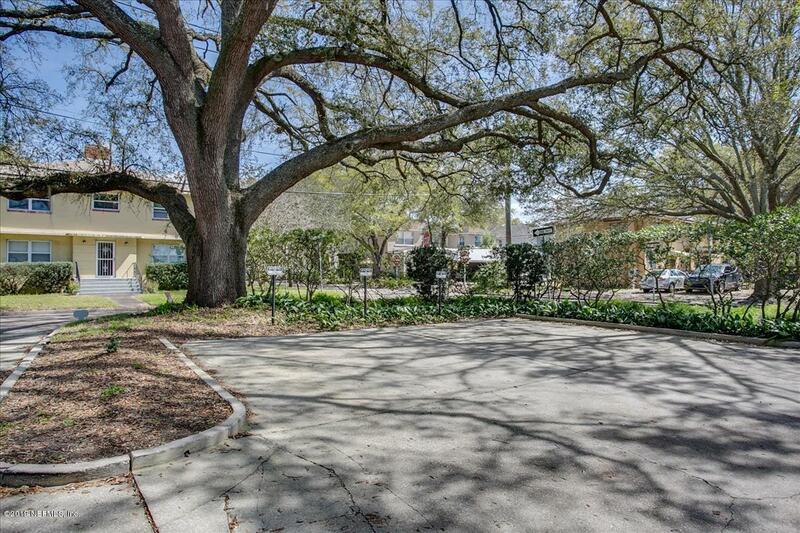 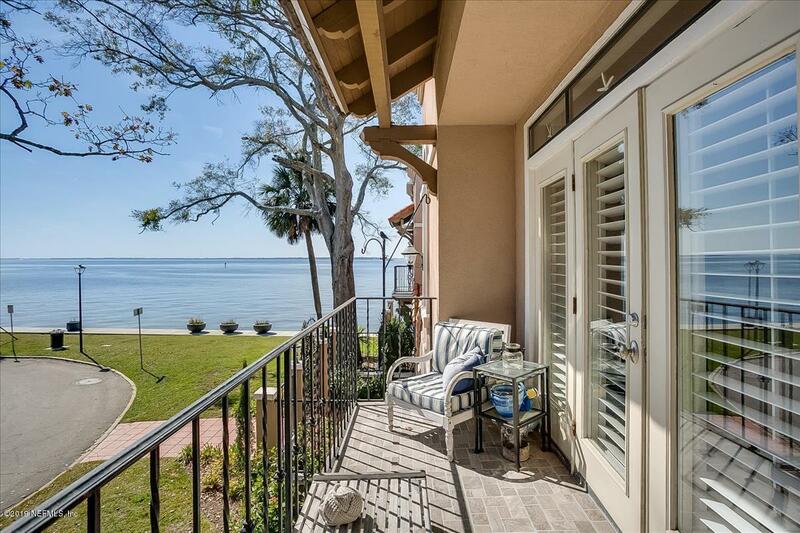 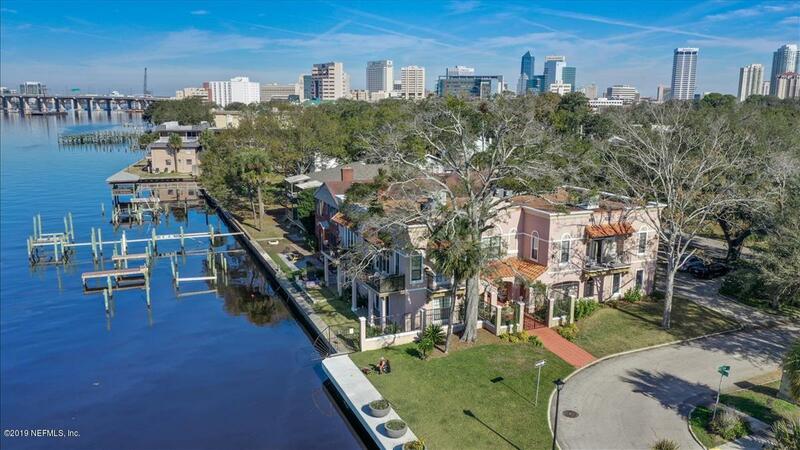 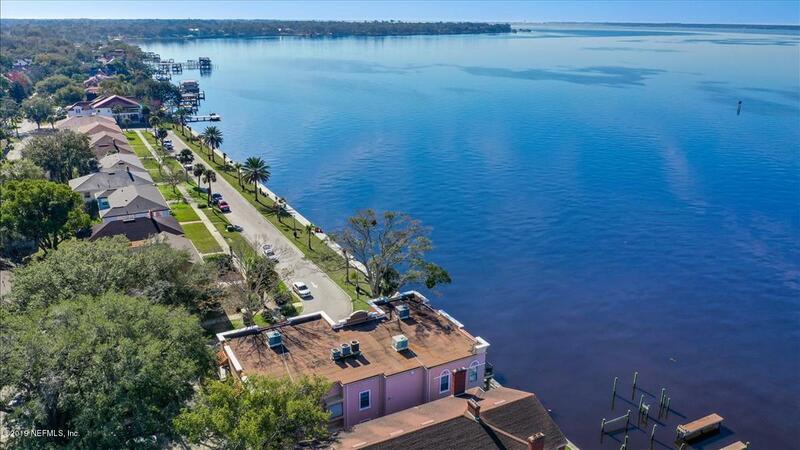 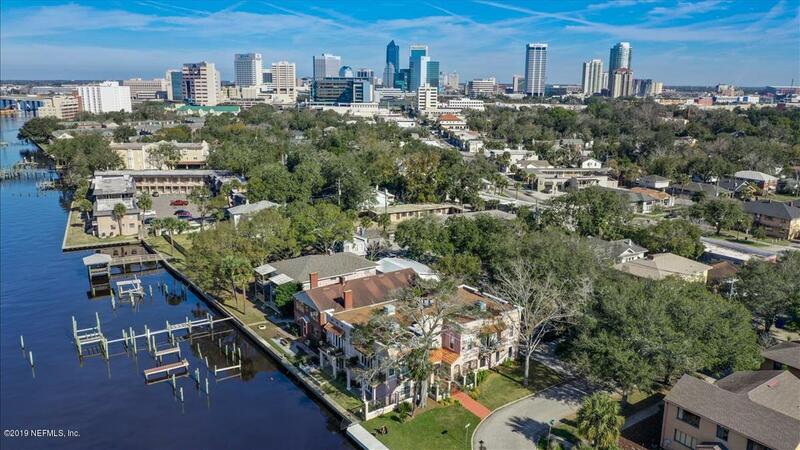 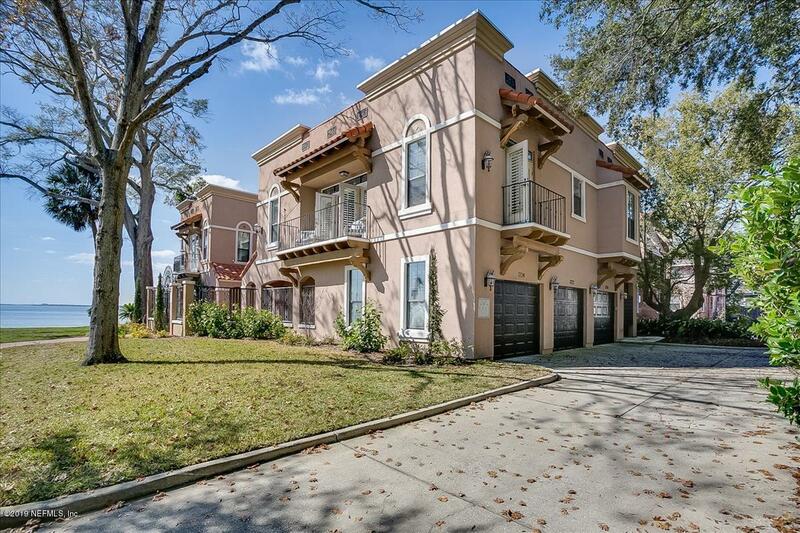 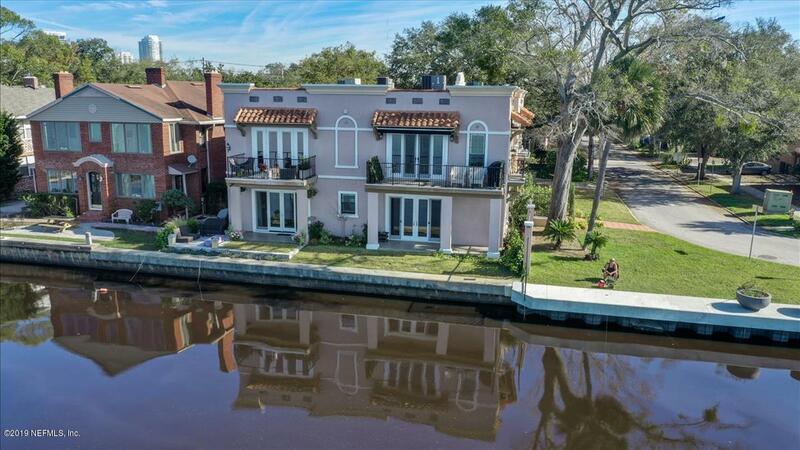 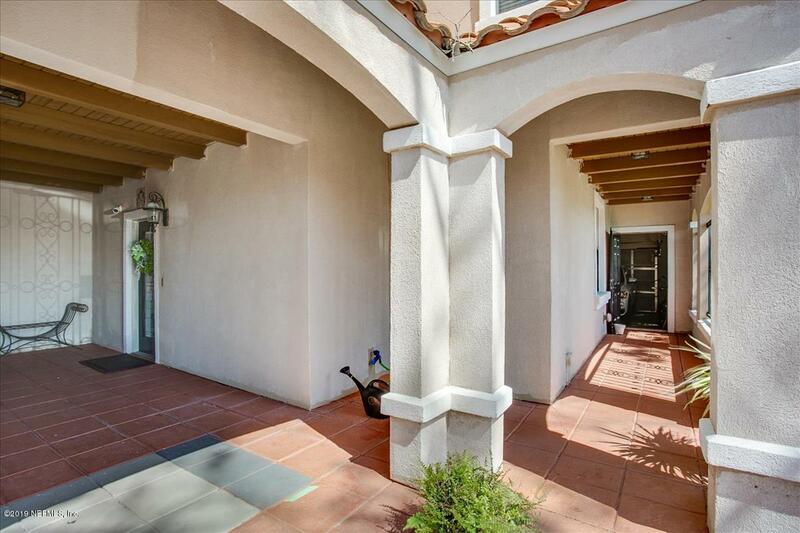 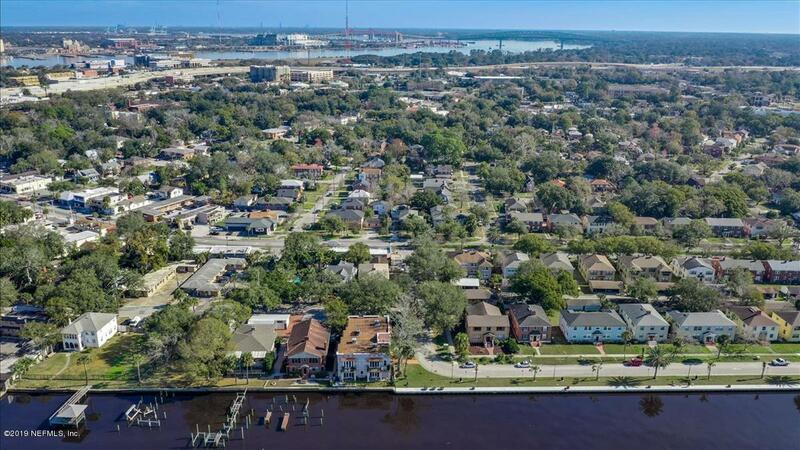 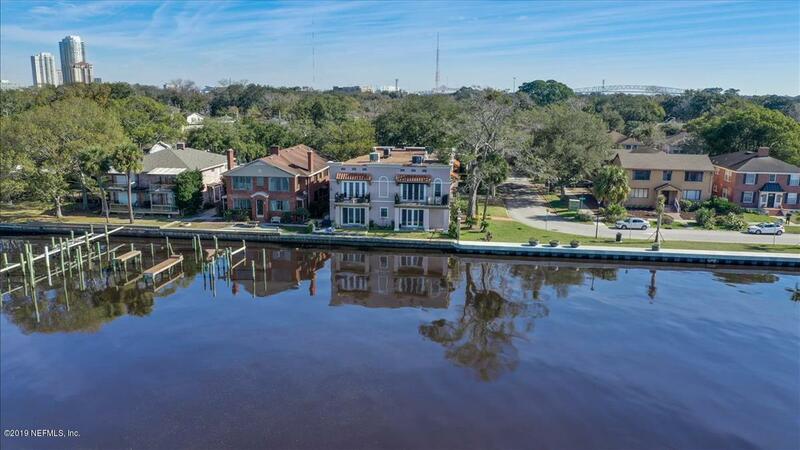 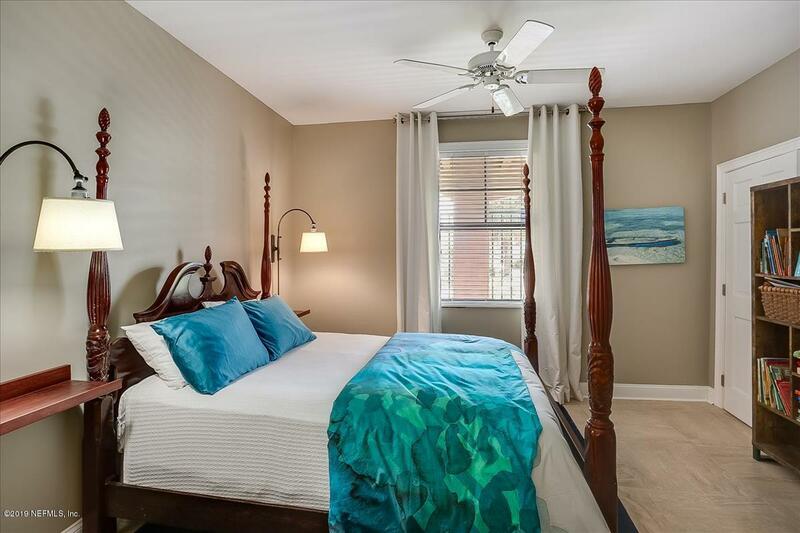 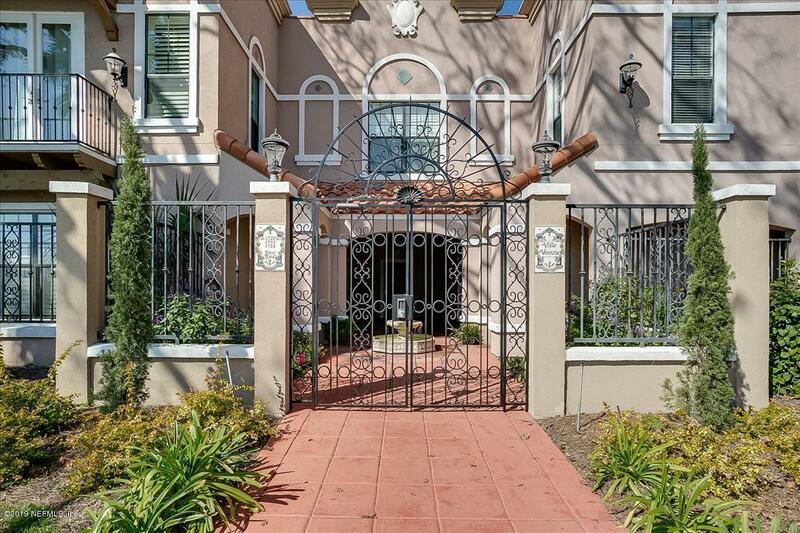 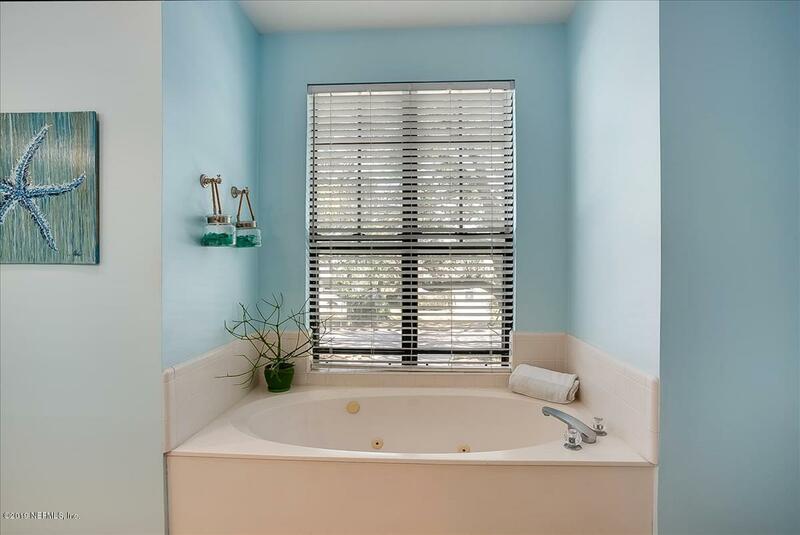 Don’t miss this Mediterranean style townhome in historic San Marco on memorable Riverfront Park. 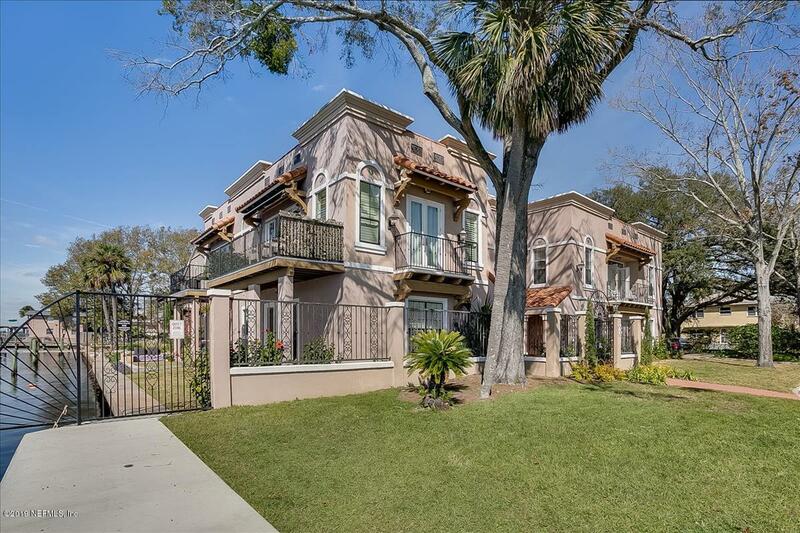 2 Blocks from San Marco Square dining/shopping. 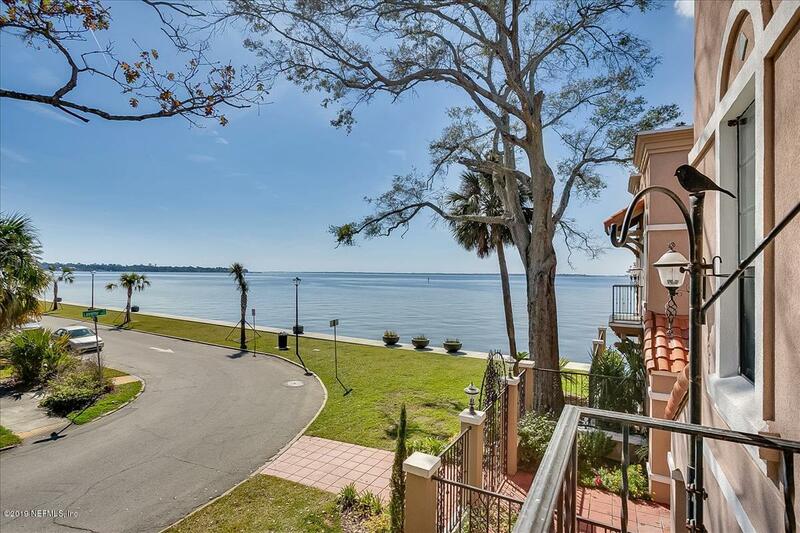 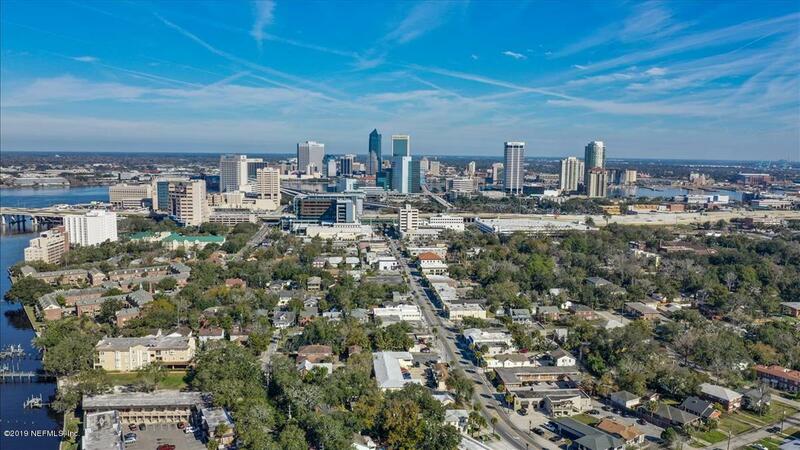 Sip your coffee or cocktail from the tranquil balcony while enjoying the panoramic views of the St. Johns River. 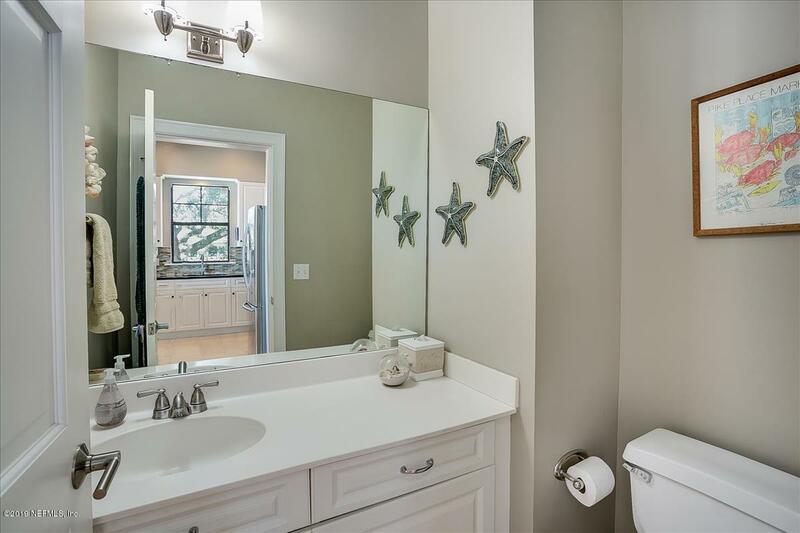 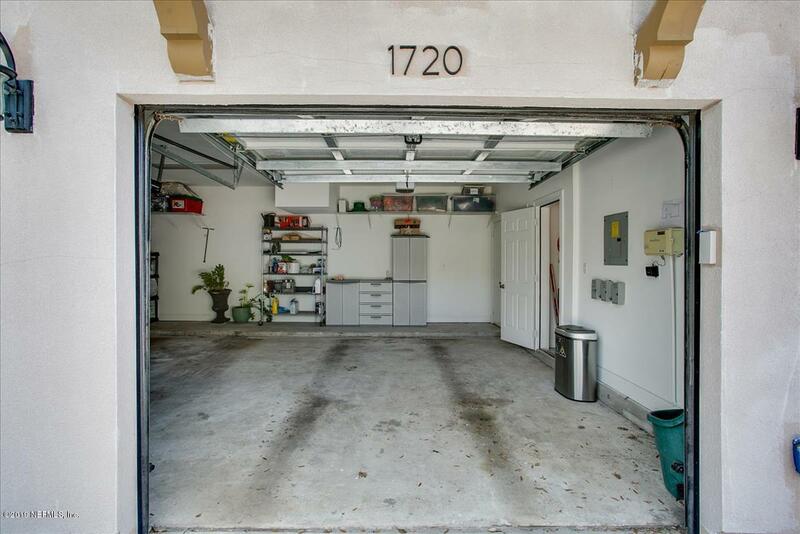 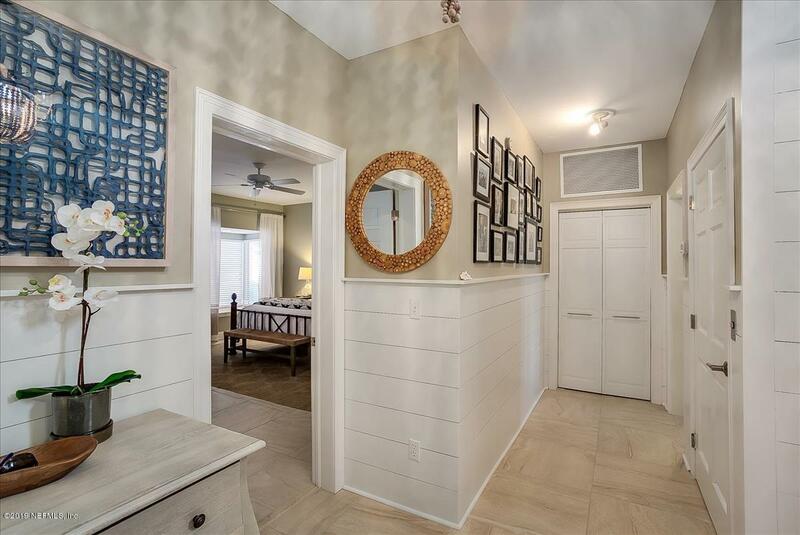 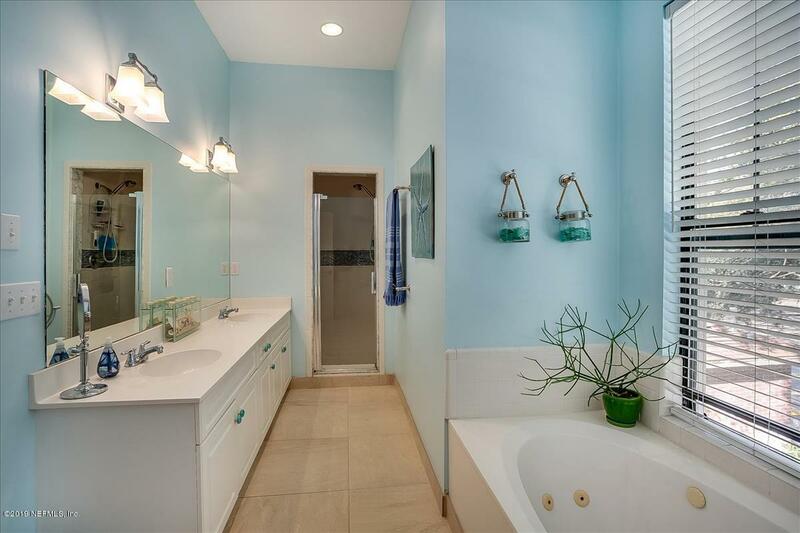 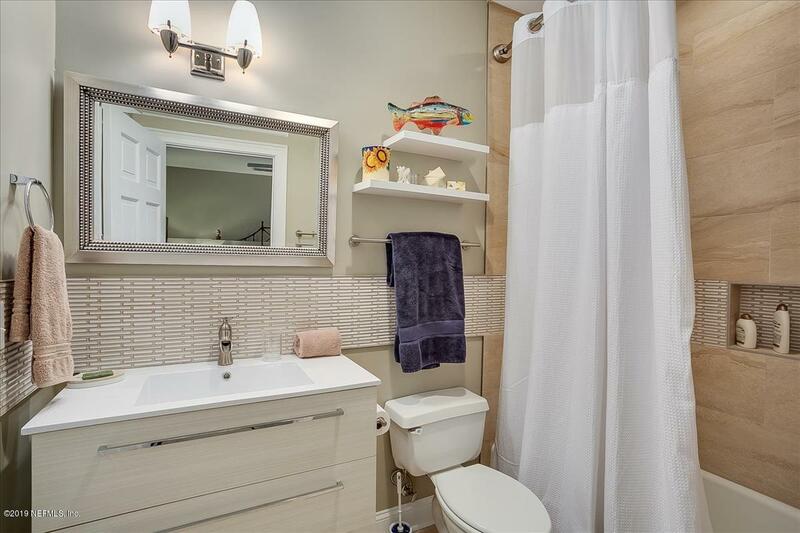 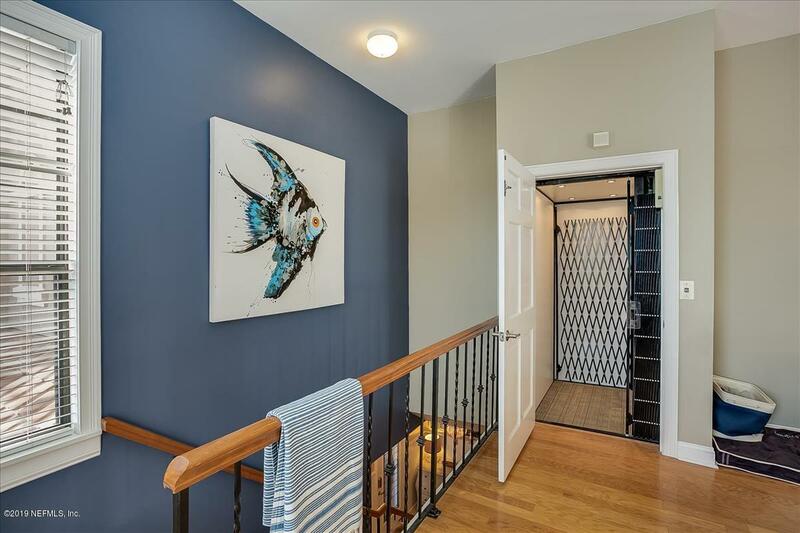 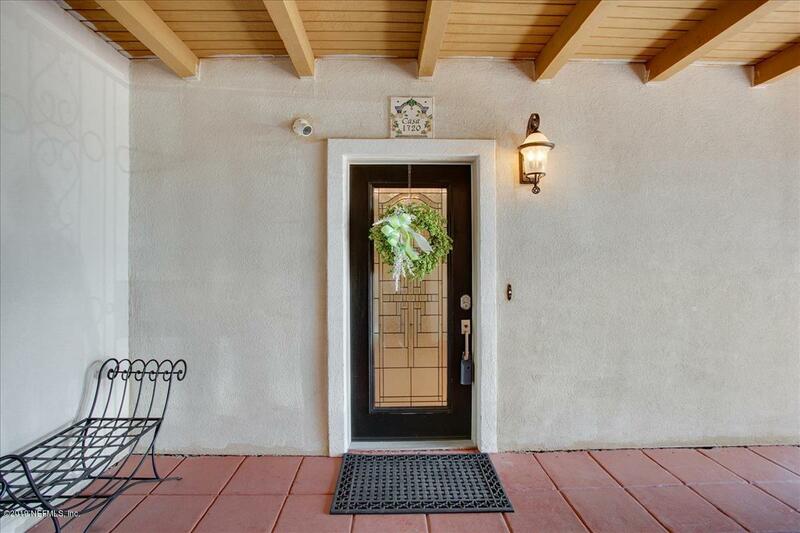 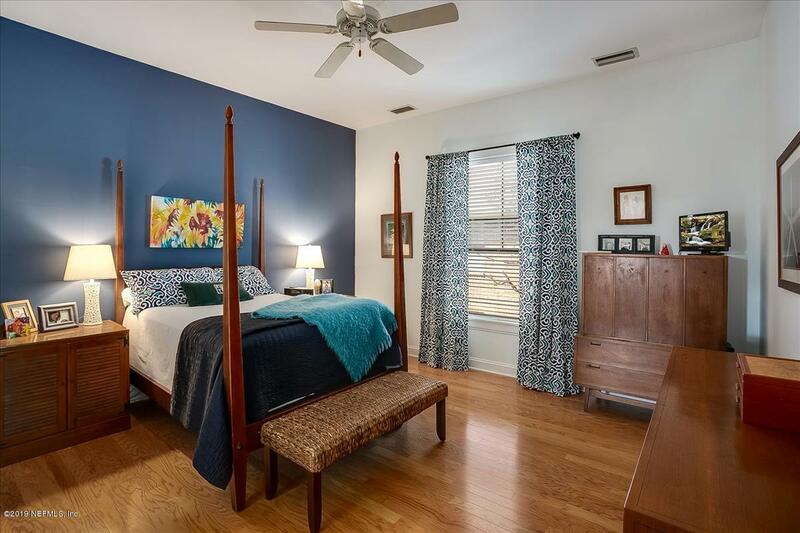 Spacious floor plan with 2 recently remodeled bedrooms & bath downstairs. 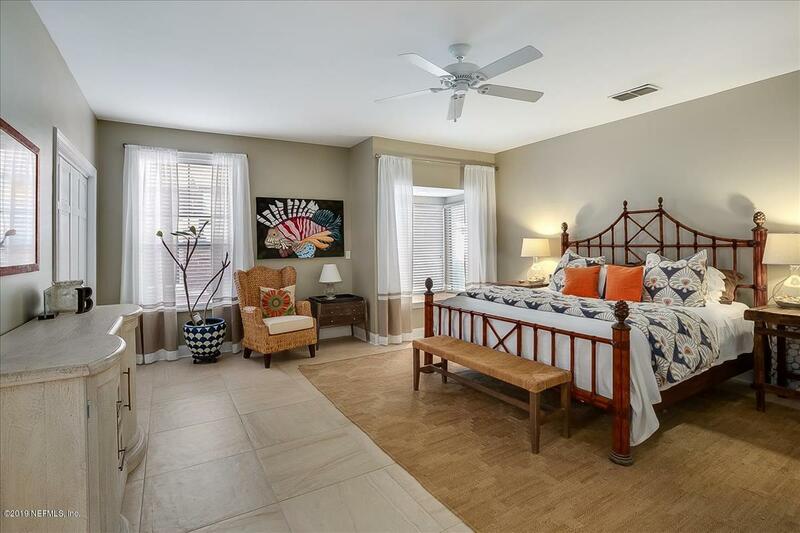 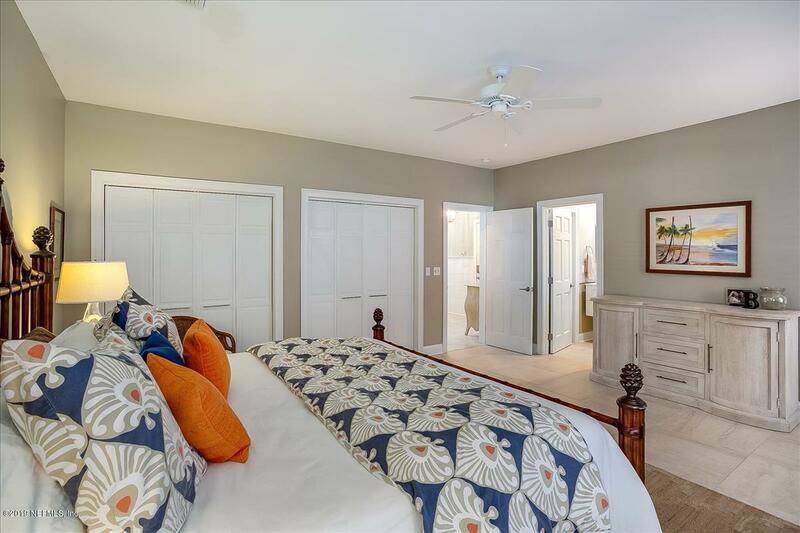 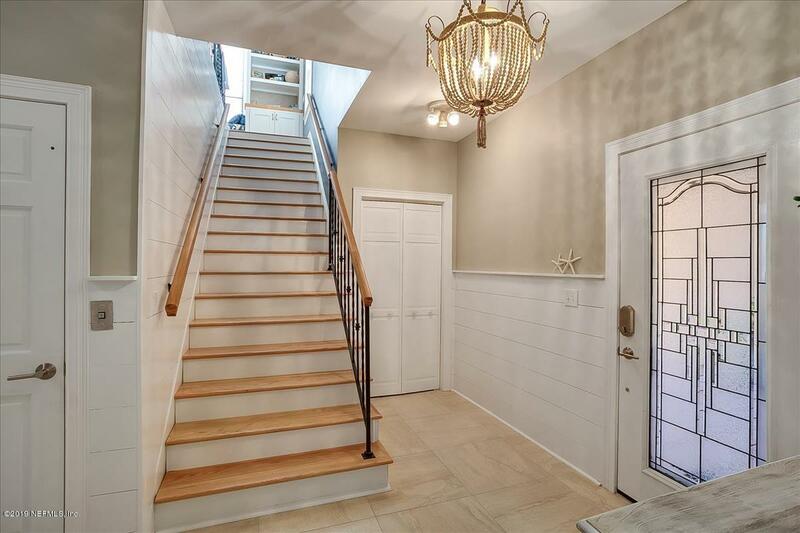 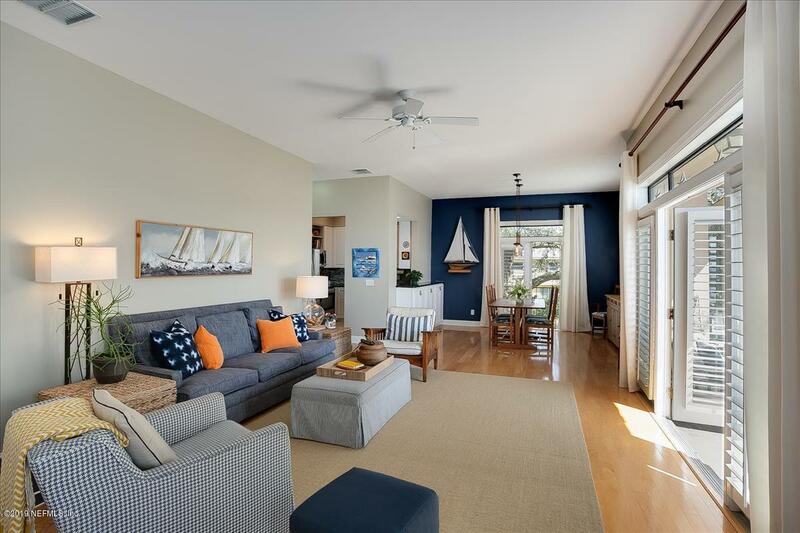 Upstairs boasts a perfect size great room, modern style kitchen, & master suite. 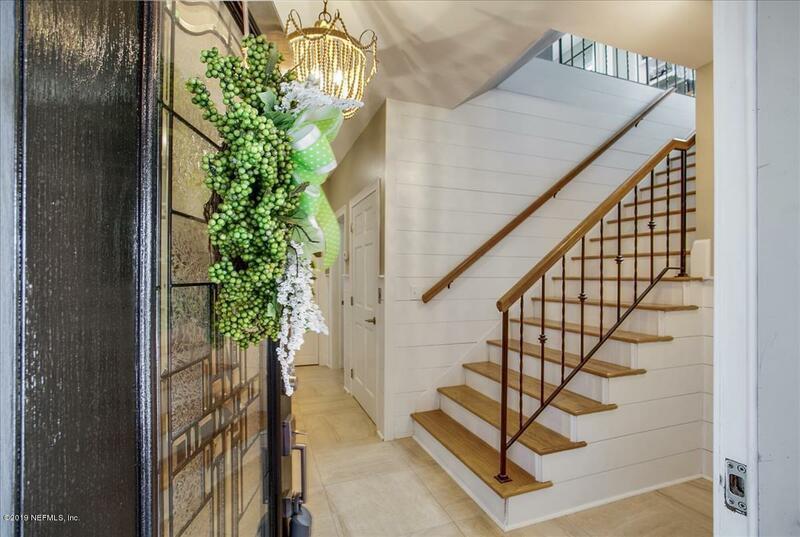 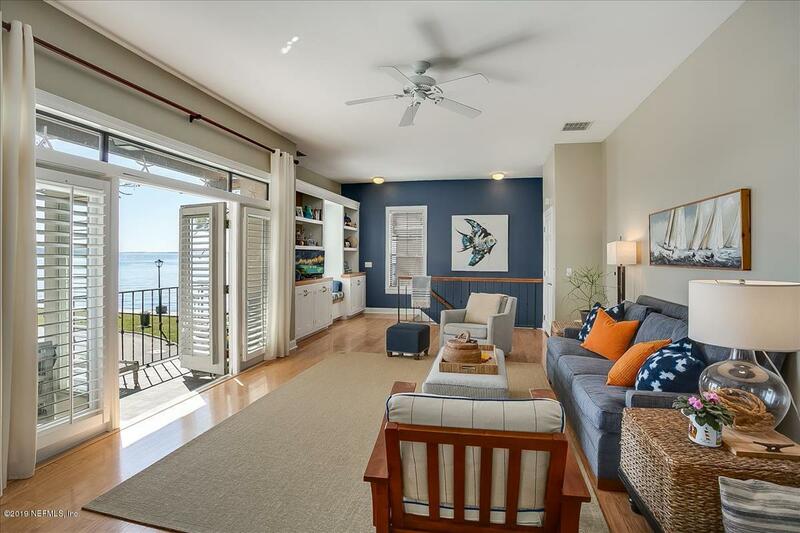 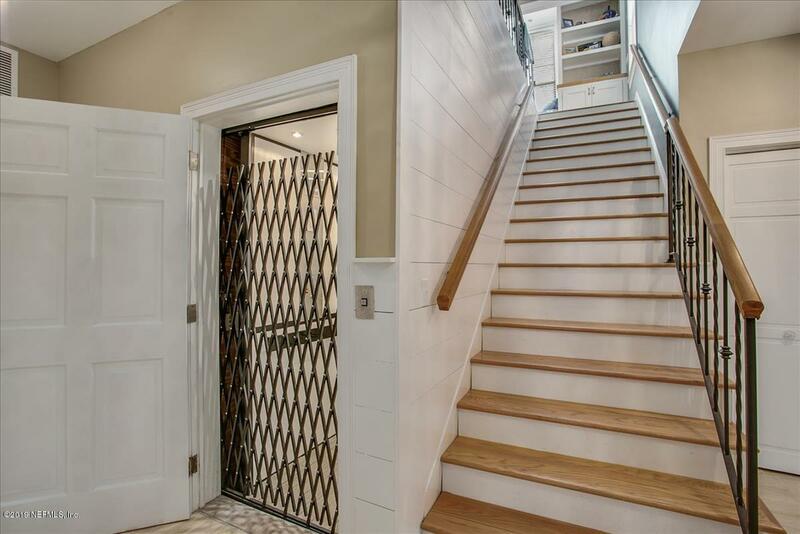 Extras incl: a private elevator, hardwood floors, upscale lighting,Ship Lap walls, Plantation shutters, & blinds. 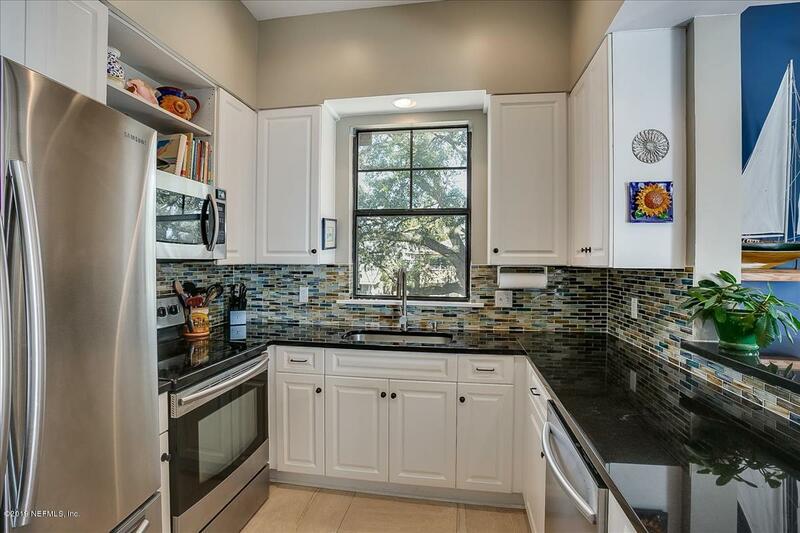 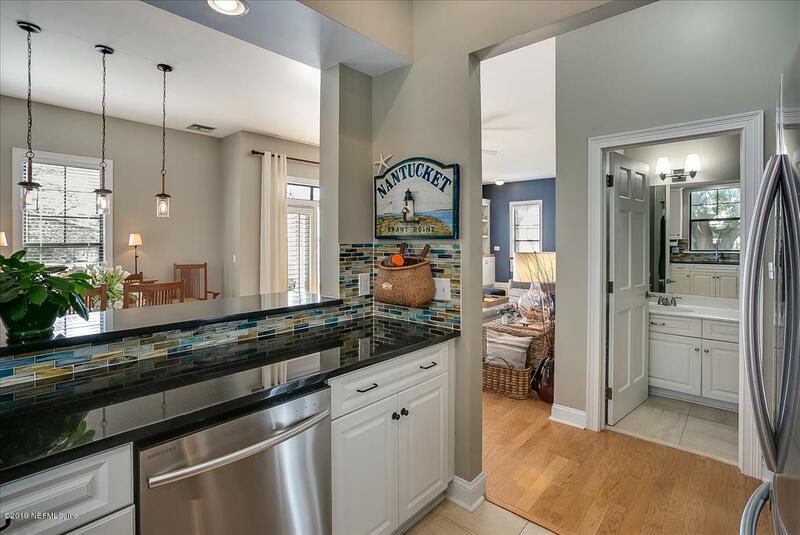 Kitchen features granite counters, glass tile backsplash, & 42” cabinets. 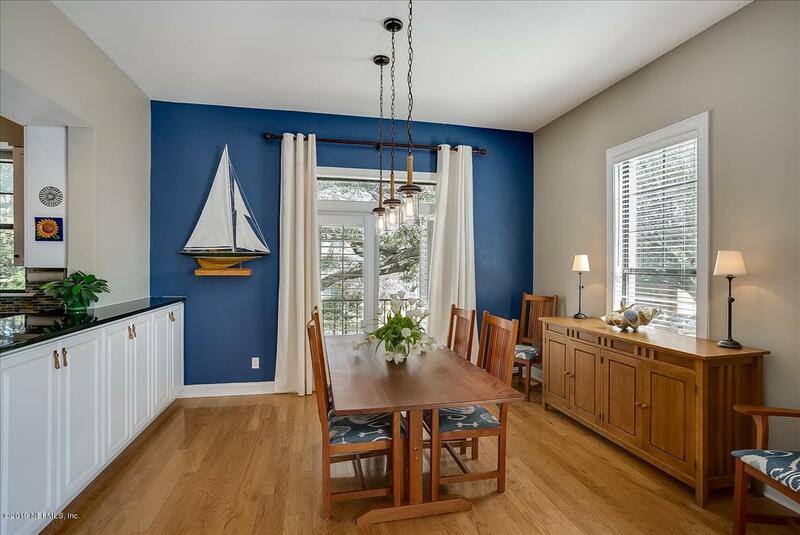 Dining area with its own balcony is a plus. 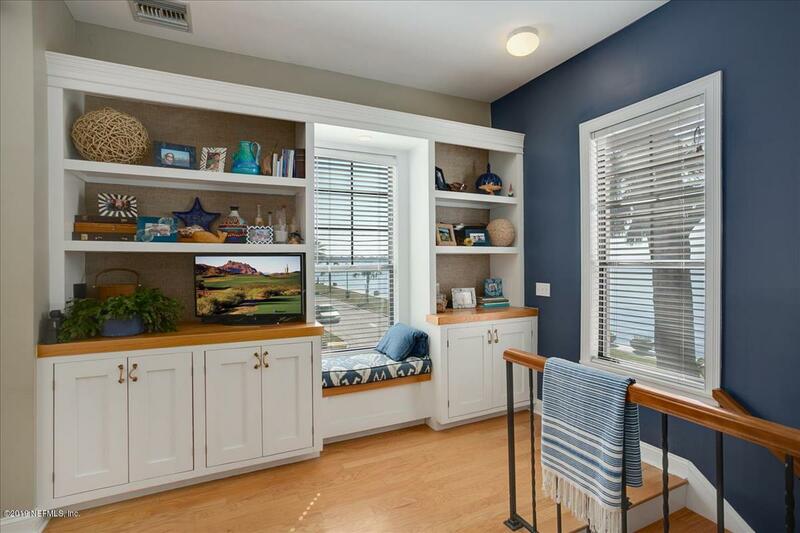 Soaring ceiling & beautiful windows create delightful natural light. 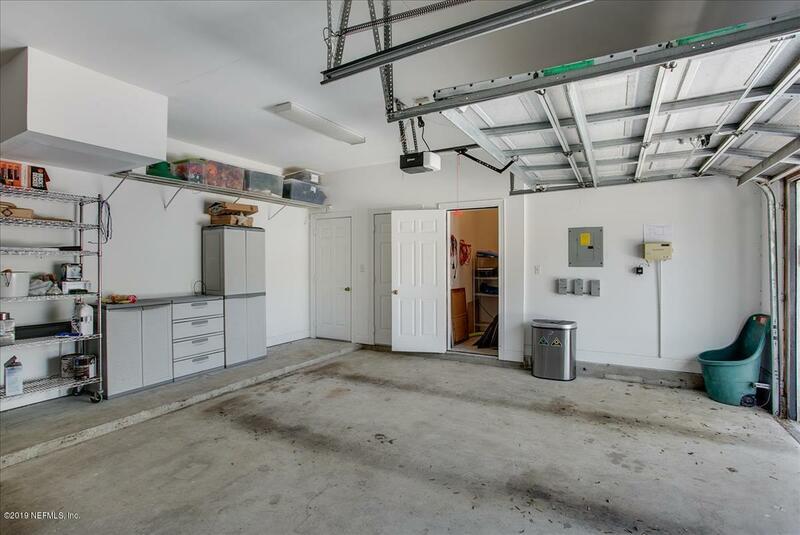 2 parking spaces-one in shared garage & the other in the building’s parking.